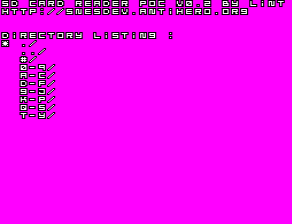 I fixed minor bugs and optimized a bit the memory usage. 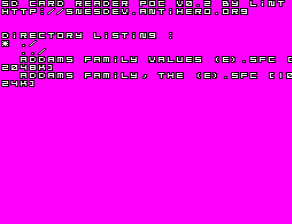 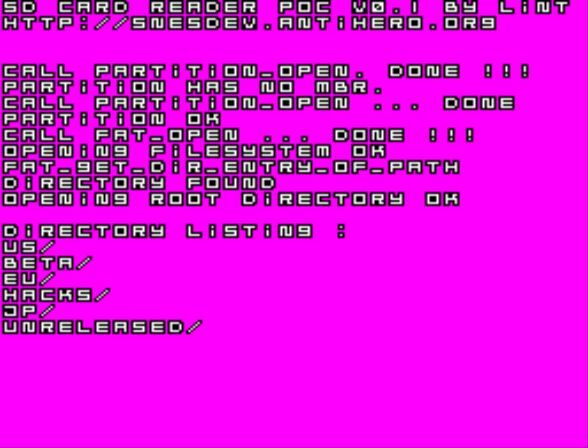 I still have to implement the reading of actual file to parse the ROM header. 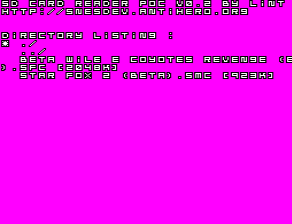 Root directory of the SD card image is read with a modified version of BSnes. 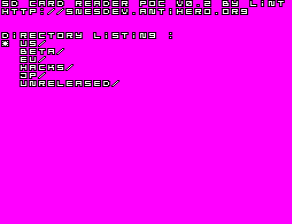 You are currently browsing the SNESDEV blog archives for May, 2009.